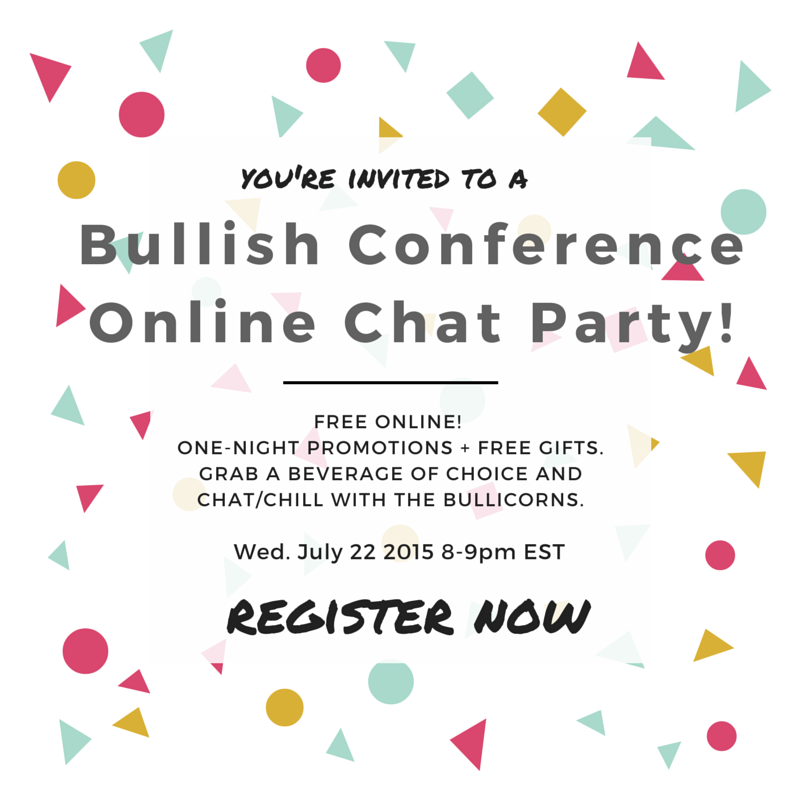 Are you thinking of attending the Bullish Conference, but want more information? Have you already bought your ticket, and want to say hi to some other ladies who will be coming? Join me for a free online web chat party/webinar! Just grab a beverage of choice and join the chat room. I’ll have some special one-night-only promotions and free gifts as well! Like actual gifts in the actual mail. 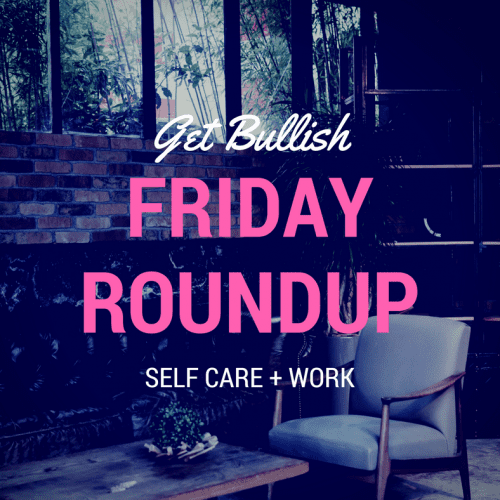 You can trust me not to go all “yay glitter yay lipstick manifesting!” on you, but I have to admit that the prospect of dozens of bad*ss women hanging out talking about BullCon is beyond enticing. See you Wednesday, July 22, 8pm EST. We’ll email you the meeting link before the big day.